Lately it seems like Starbucks is trying to come out with a new Frappuccino every week. First it was the unicorn Frappuccino; then it was the mermaid Frappuccino, and now it's the midnight mint mocha. What's next? A green monster goo Frappuccino? Don't get me wrong, I love Starbucks as much as the next person. I get excited every time I get a Starbucks gift card as a gift because that means I get to treat myself. I'm not much of a coffee drinker, so I love their Frappuccino because some don't have any coffee in them, while the ones with coffee have so much other sweet stuff in them that I can't even taste the coffee, but I still get that caffeine boost. So don't take this as me shaming Starbucks because I'm addicted just like the rest of you. I just don't agree with their recent decisions to come out with bizarre flavored Frappuccino. Are they trying to one up the combinations created on the unofficial Starbucks secret menu? I can see why they'd want to that since every time I show a Starbucks barista a photo of a recipe I found online and they roll their eyes at me because of how difficult these drinks are to make. I know they hate it when I ask for something that's not specifically on the menu, but then they shouldn't offer so many different add-ons that give people the opportunity to come up with these crazy combinations. 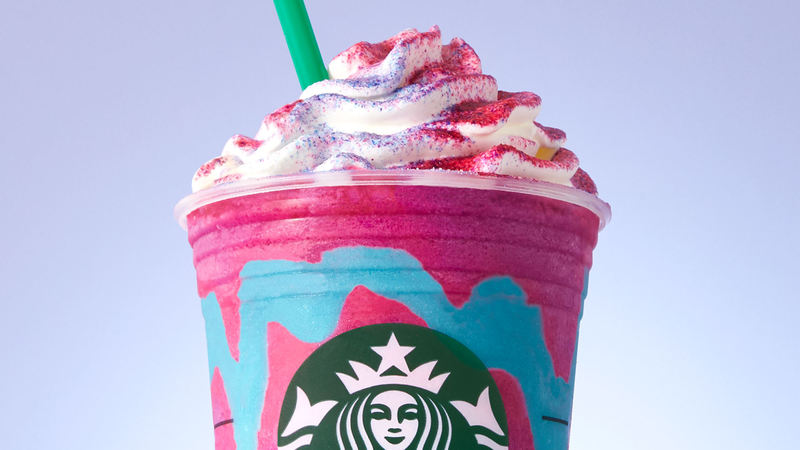 All I'm asking is for Starbucks to stick to what they're good at, which isn't coming up with goofy drink combinations. Stick to making your high quality coffee and the delicious Frappuccinos that've been on your menu all along. Let the customers come up with the drink combinations, and hey if they're in high demand then add them to their menu. Listen to what the customers want, instead of trying to come up with your own weird drink concoction.